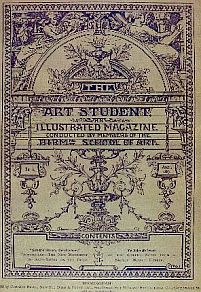 The Art Student includes articles on stained glass, repoussé work, art education, the National Competition of 1885 and 1886, chromo-lithography, ‘Hope’ by G.F. Watts (1817-1904), etc. Among the journal’s contributors were the artists Thomas Cooper Gotch (1854-1931), Joseph Finnemore (1860-1939), John Fullwood (1854-1931) and Thomas Spall (1853-? ).